Yesterday, we blogged about some new year’s resolutions that we hope your organization will set for this year. Our goal today, is to help you achieve your resolutions. With every new year comes a new mindset. All ambitious CEOs, team leaders, entrepreneurs, product managers, and their teams set new visions and goals and plan out an endless list of things they hope to achieve in the new year. In hopes of increasing the company’s sales, profit and ranking, they work hard and are ready to tackle their list of goals…only, many are unsure of how to do so. Goal setting is much more enjoyable if you know you will attain them. We realize that in the hype of the new year and in the midst of all the chaos, it can be hard to focus on achieving your business goals. Here are a few tips on how you can be sure you’ll place a check mark next to each goal on your list. Before putting a goal down on paper (if you are still using paper), make sure it’s realistic. For example, if a project has multiple tasks, would you be able to complete them on time by yourself, or would it make more sense to split it up? From your list, identify the ones which are most important to you, and for your company. Ask your team for feedback and see if they have also set the same goals. To-do lists and calendars will be your best friends at this point in your goal setting journey. By planning out your goals on paper (or rather, on a virtual calendar) and setting deadlines for them, you will feel much more organized, less overwhelmed, and ready to work on each one. 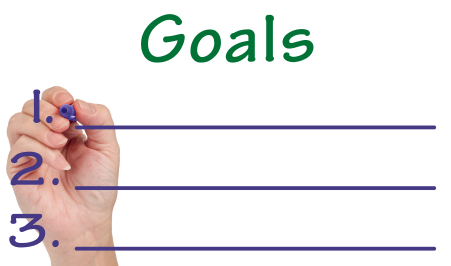 Setting goals that prevent you from completing other goals will always lead to incomplete projects and more work. After you have written down all your goals, review them to make sure that none of them would conflict each other. Sometimes, in order to achieve a goal, you may need to be a little flexible. If you have a team member helping you, keep in mind they might have their own goals and tasks and may appreciate an extended deadline. Positive attitudes are contagious – keep smiling and working hard and your whole team will follow.